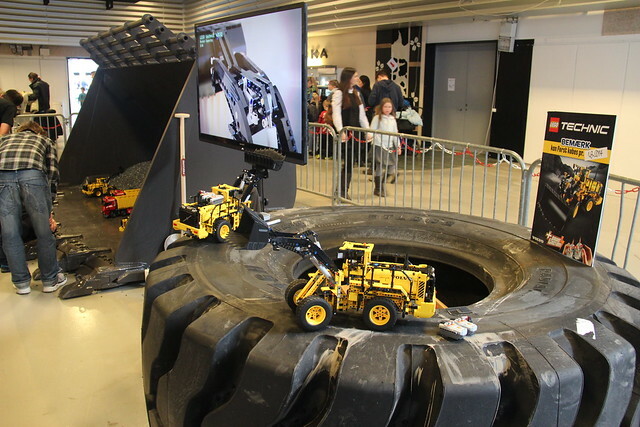 LEGOWOLD Copenhagen is running until tomorrow (13-16.Feb) and this year we can find there the 2H LEGO Technic sets available for the children to try and play with them. The use of a real L350F rocket bucket to put the children playing inside was really nice idea! There they can load from a pile of bricks and dispose them at the dump trucks improvised from of the old 8258 Crane Truck released in 2009. It is also an opportunity to get better images and close-ups from the sets details not yet seen before. Bellow some reasonable quality images from the 42028 Bulldozer (for the first time) and 42029 Customized Pickup Truck. From the Bulldozer image, I guess the rear knob controls the ripper and the exhaust pipe is used to raise/lower the front blade. We have also some short and raw videos from all the models, nice close-ups with the inner details and children trying the new models. Sell all them from the BrickGlow YouTube channel here. Check the latest LEGO Technic promotional video, where the LEGO Technic Design Lead Jeppe Juul Jensen presents the 1H sets, respective sets and some other insights. Strange this didn't came from an official channel in first place, but that's not really a surprise. It looks the the release of 42006 Excavator and the year end, inspired several builders to come with some innovative thinking. 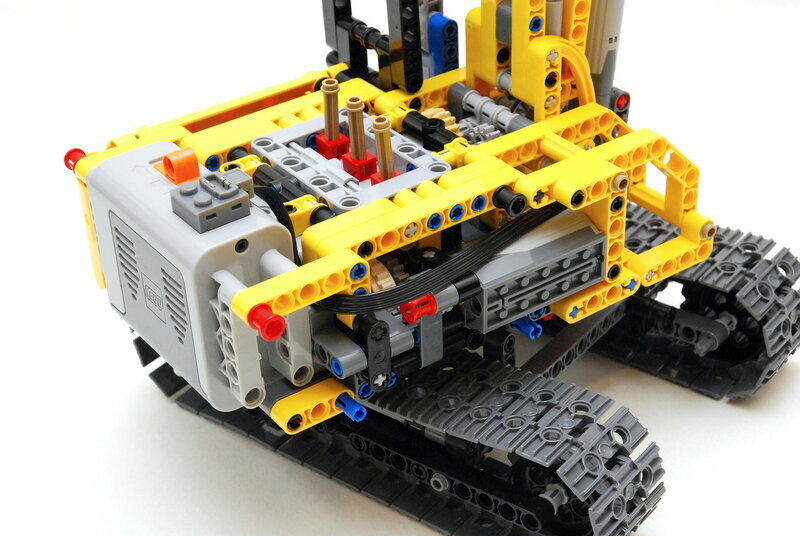 LEGO Technic official models which feature several functions, use to have a switch box to attach one or several motors to a set of selectable functions. Then the direction of each function also uses to be controlled directly on the battery box switch. This is indeed not the most intuitive nor the easiest way to operate a machine most of the times, and it seems to be annoying some the Technic fans out there. which enables each function e both directions and extracts power from that single motor. While this kind of operation is a lot easier and more intuitive, it also better represents the way that real construction machines are operated. I leave you with one beauty and compact excavator by Yannmar from Russia (Saint-Petersbug), published about one month ago. 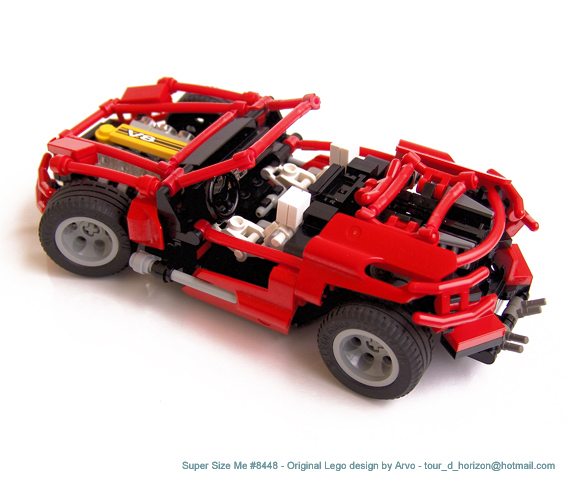 You may find the full set of pictures from this model and some LDD interns at Yandex. 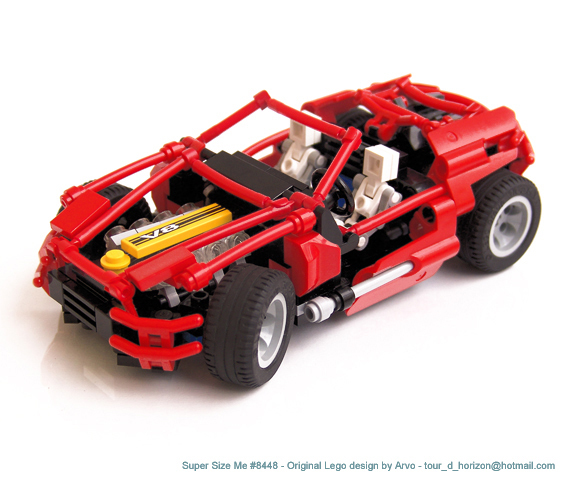 Also some other great compact models by Yannmar from his Brickshelf gallery here. Steph77 explored the same principle about one month before, using the same model as inspiration, a larger upper structure base but also controlling all the six functions from this model. Instead of the three main functions for the upper structure, as proposed by Yannmar. This idea seems to be most suitable for small and compact models with few functions and it even seems to perform quite well while selecting more than one function simultaneously. Although I'd like the videos to focus a bit more on this ability. I'm also wondering about the number of simultaneously running functions allowed, and how this escalates to larger models, bigger motors and more power demanding functions where torque demand and friction play a bigger role. And coincidence or not, another guy (Arik) exploring the same concept (three upper structure functions) about the same time. Today a very small model by Sheepo (Fernando Benavides), and small is very unusual from this guy. This is a mechanical Garage Jack to help servicing all his great cars. You can find additional photos and even download the building instructions at Sheepo's blog. After taking a break on 2013, both shows will return this year! 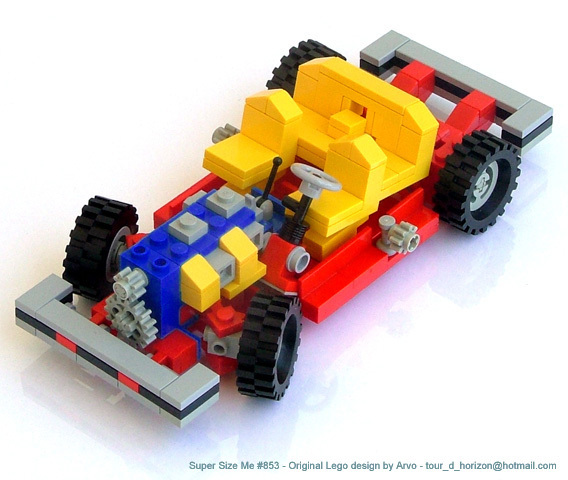 They are now in London, in The O2, from 7th to 8th May 2014 (AFOLCON) and from 9th to 11th May 2014 (The LEGO Show). For those of you that haven’t heard about the show before, ‘AFOLCON’ is a special adult only fan convention for AFOLs from all over the world. After private convention days, the show is opened to the public as ‘The LEGO Show’. Make sure you check out the press release for all the details about the events,including how you can participate. The video in the previous post bring us the first image from the 42028 Bulldozer - See the end of previous post from today, for further details about this set. Sometime minutes later we also got the first image from 42030 B-model. Another Volvo machine - A25F Articulated Hauler. When it comes to this alternate model it looks there is some shortage of panels... Like this, we shouldn't be able to take the most of this Hauler in terms of playability. Online info and images always shows the A25F in 6 wheeled / 3 axle configuration, while this model has 2 axles, because there are only 4 wheels in this set. 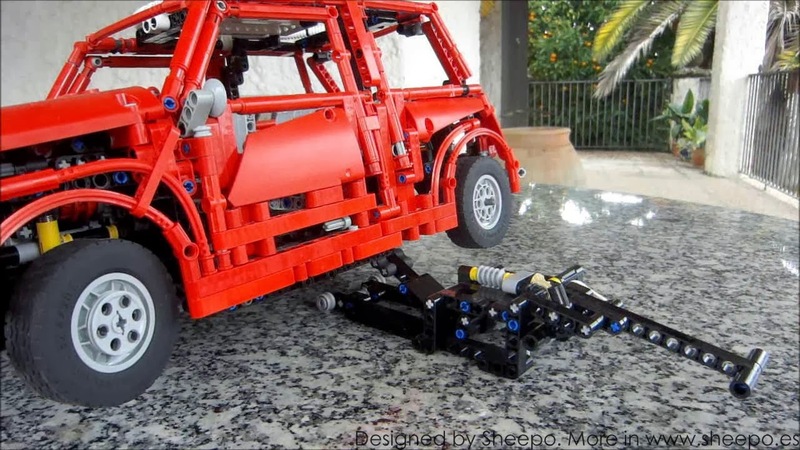 LEGO Technic Volvo L350F has a rear pendular axle! At this new video from the Nuremberg Toy Fair, we can clearly see the 42030 Volvo L350F Wheel Loader has a rear pendular axle/suspension. At second 18th, you can also see the 42028 Bulldozer for the first time.